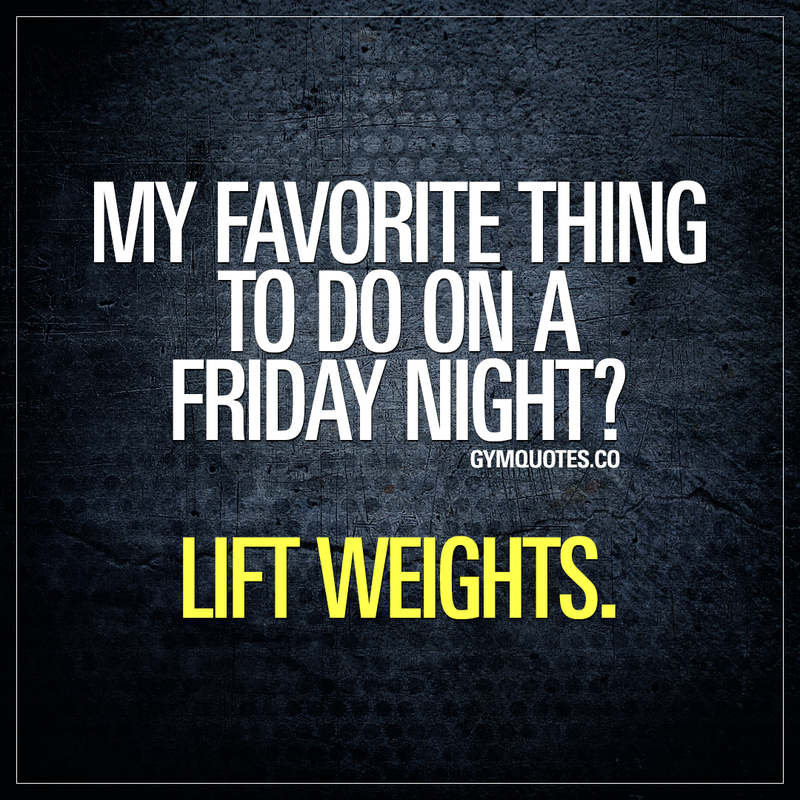 Lifting quotes: My favorite thing to do on a Friday night. Lift weights. Friday and Saturday nights in the gym? Hell yeah. Friday. In the gym. Making gains.